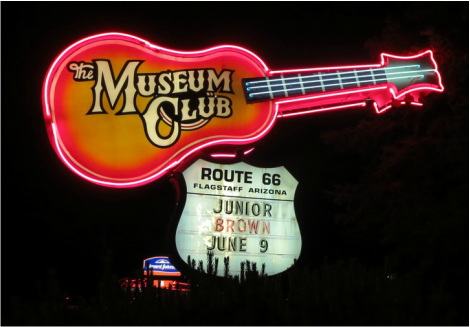 My interest and attraction to the colorful history of Route 66 was born in Flagstaff. I lived on West Highway 66 in the late 70s. Our drafty two-story rental house was near a metal frame for a drive-in movie screen that was never completed. The house was in a field pockmarked with a prairie dog town and in between Flagstaff radio stations and their towers. We called it the White House. There were lots of good parties, music and some studying among the Northern Arizona University students who lived in the old place in west Flagstaff. That included members of the progressive bluegrass band Flying South. Down the road, in a smaller white house, was another musician, Duane Davenport, who was a regular entertainer at Grand Canyon. ​In the woods nearby, there were 1930s junk cars and piles of tin cans near the railroad tracks. Trains rumbled past regularly and we learned to tune them out while we slept on Flagstaff's long, cold winter nights. Whiting Brothers had a filling station with an adjacent tourist campground nearby and the Woody Mountain campground was up the hill to the west on Route 66. I recently learned that my first Flagstaff home at 31 Mikes Pike was on a previous alignment of Route 66. Prior to 1934, the road crossed the tracks on Beaver Street and went west on Phoenix Avenue to Mikes Pike where it angled to the southwest to a five-point intersection. The new alignment went west from Beaver Street and turned south at the Milton Road curve and under the railroad viaduct. The tall Motel DuBeau sign at Beaver Street and Phoenix Avenue lured Route 66 motorists to its modern motel rooms and heated garages. The DuBeau opened in 1929. It's one of the town's oldest motor courts. In 1959, Flagstaff citizens debated whether Interstate 40 should be routed right through town or on its present alignment well south of downtown. They wisely chose the southern route. Still, Flagstaff business interests put up a ballot initiative that would have prohibited commercial development along I-40 to protect their tourist-dependent enterprises. 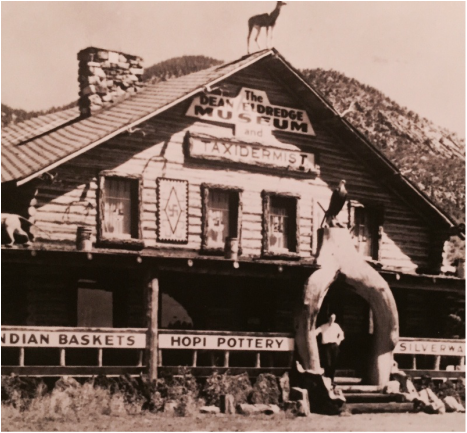 Museum Club opened as a taxidermy museum in 1931. Five years later, it became a roadhouse for drinking, dancing and country music. It was defeated. 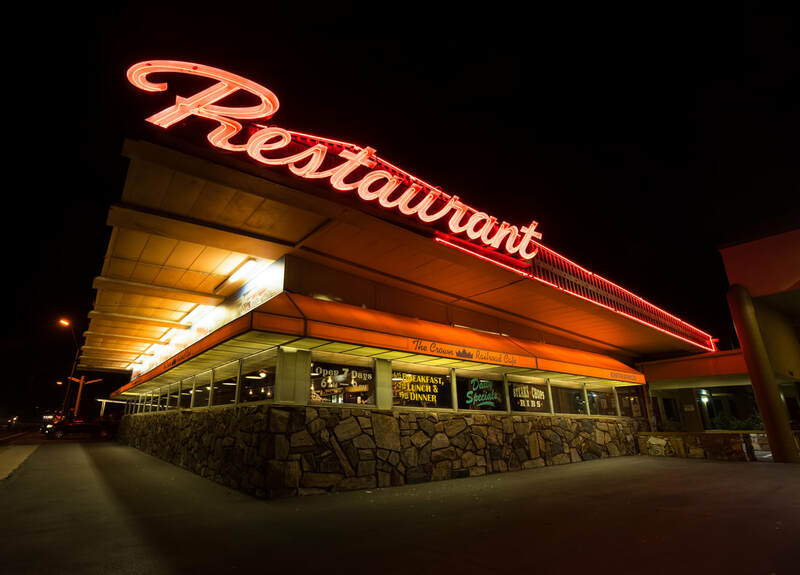 Modern hotels and restaurants, including Little America, emerged at Flagstaff's four I-40 interchanges after the interstate bypassed Flagstaff in 1968. That killed much of the Route 66 commerce that Flagstaff depended on for four decades. The Best Western Pony Soldier is a good example of the Midcentury Modern motels built in the 1950s. Ramada Inn put up its first ever motel in 1954 in west Flagstaff near the Y-intersection on Route 66. The Ramada building has survived, now as a Super 8 motel. ​The nearby Andy Womack's Flamingo Motor Hotel, with its impressive neon sign, (see below) has been gone for almost 20 years. At one time, the neon "O" was not working and that accidentally rebranded the place as the Flaming Motor Hotel, which logically would have allowed smoking. My home on Route 66, the White House, was demolished in the fall of 1980 after firefighters used it for a training fire. The Mikes Pike cottage in Flagstaff near Northern Arizona University is still there but its days are numbered. A six-story, 600-bed apartment complex is nearly finished next door. Flagstaff is near the summit of Route 66 at an elevation of 6,900 feet. 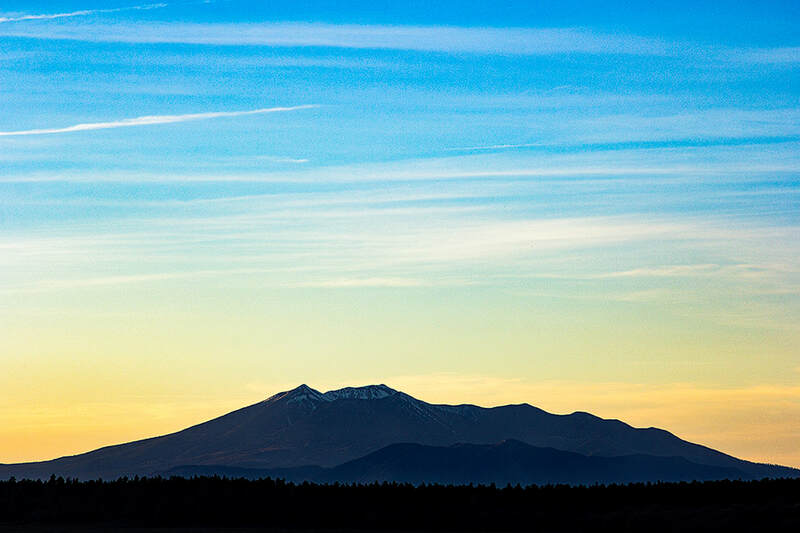 There'simply no view better than the majestic San Francisco Peaks along the entire 2,400 miles of Route 66 from Chicago to LA. 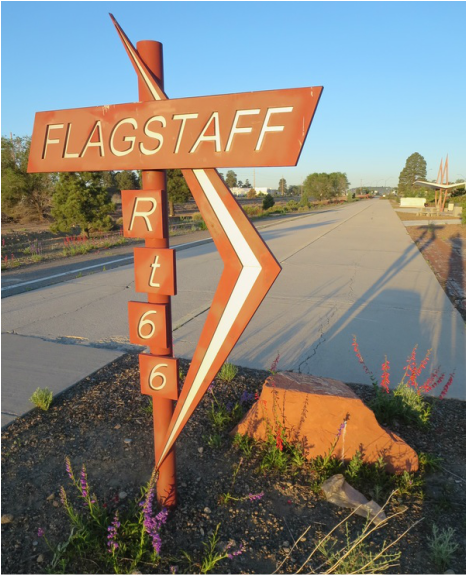 Flagstaff has a tribute to Route 66 at a rest stop on its bike path that parallels Route 66 in East Flagstaff. It is tricky to get there with no nearby parking lot. Visitors can park at Flagstaff Mall and walk about a half mile to see an old concrete section of the road and signs explaining the history of the highway. It is south of Lockett Road and Route 66 between the road and the railroad tracks. *The operator of the Museum Club closed the business on Sept. 4, 2017. 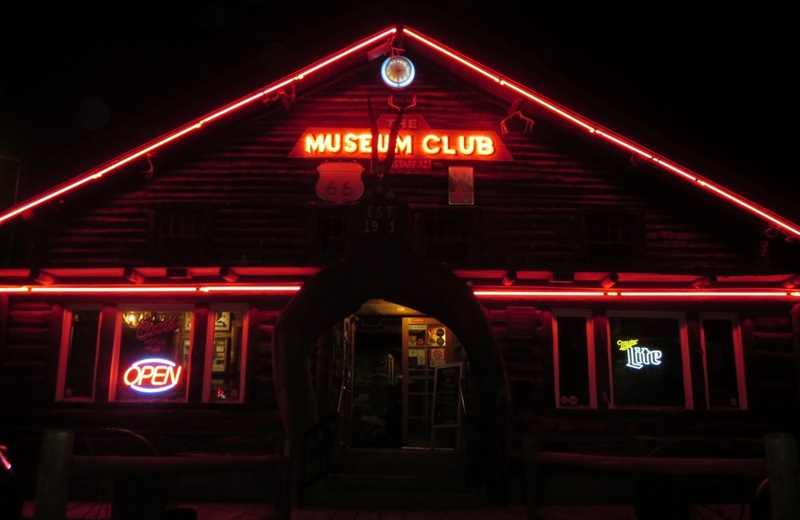 A new operator reopened Museum Club Dec. 29, 2017. Motel DuBeau was on an earlier Rt. 66 alignment when it opened in 1929. A bike path rest stop in East Flagstaff just east of the Museum Club pays homage to Route 66 on an old section of the road. 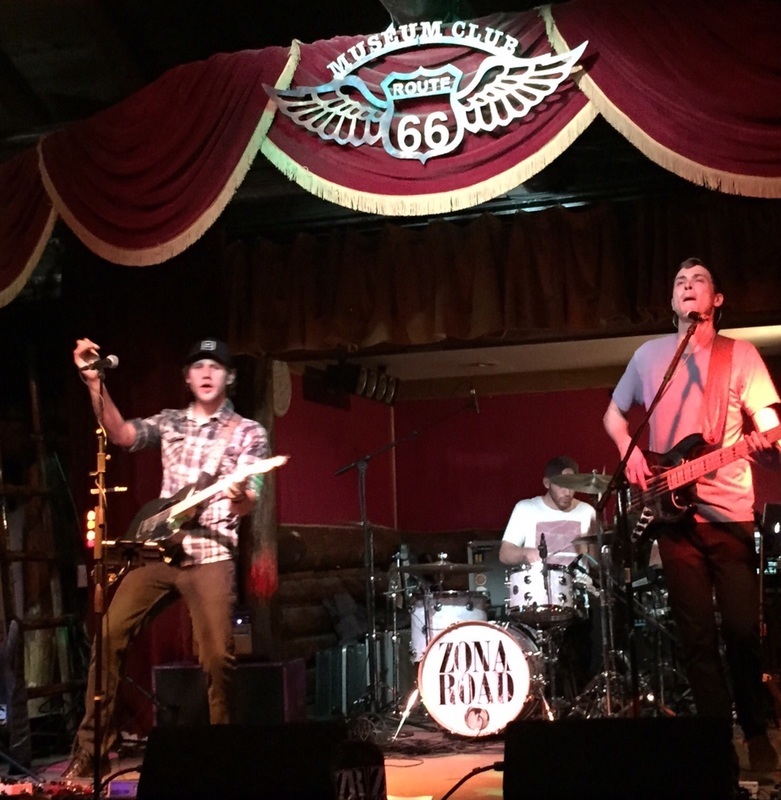 Zona Road plays on the Museum Club's historic stage, where Willie Nelson, Wanda Jackson and Bob Willis and the Texas Playboys have performed. 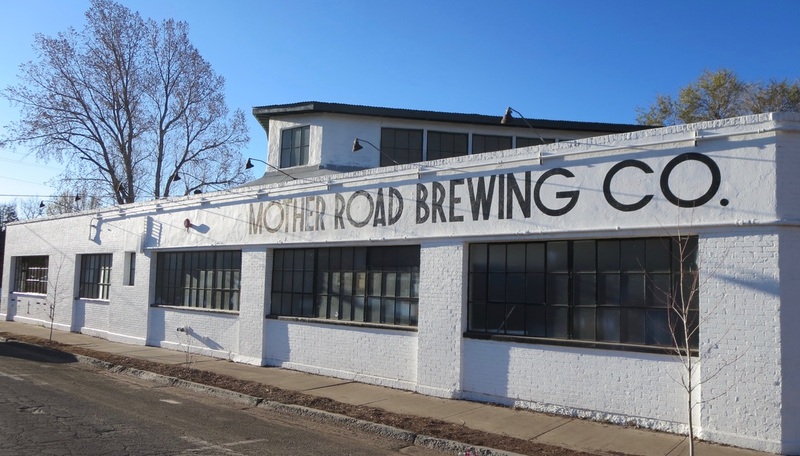 Mother Road Brewing Co. occupies a former commercial laundry built in the 1920s on Mikes Pike, which at one time was part of Route 66. Don't forget Winona and this early alignment of Route 66 east of Flagstaff. Not much to see in Winona, just east of Walnut Canyon National Monument.